Oh James, you insightful chef! 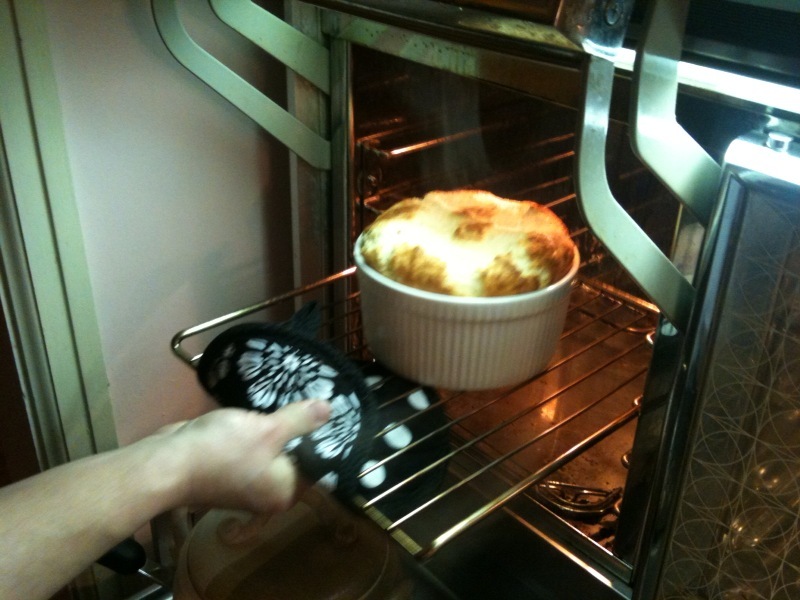 Yes – fear of complicated recipes and the dreadful ‘falling’ has kept me far away from souffl? ?s until recently. 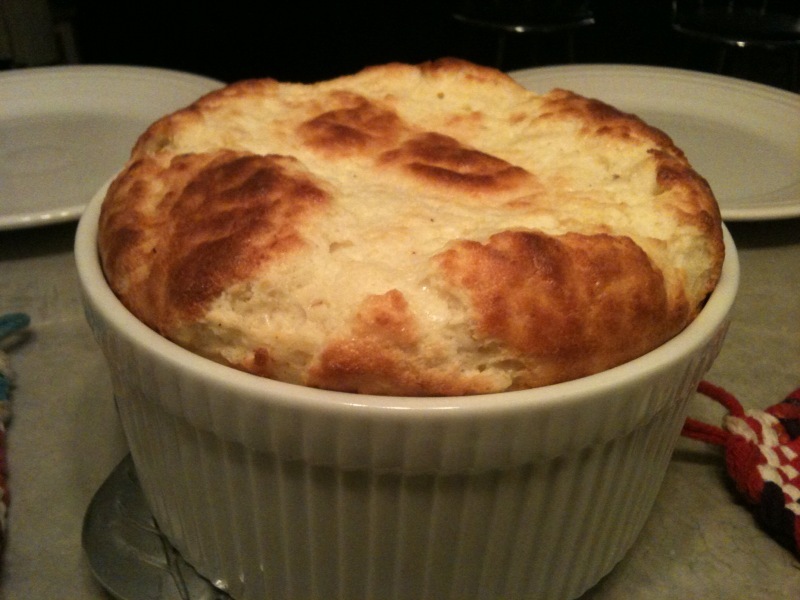 But then, that temptress Alexandra Guarnaschelli had to share her ‘Best-Ever Cheese Souffle‘ in Food & Wine and lure me in. Plus – I got to buy a new piece of dish-ware (the 1 1/2 quart souffl?? 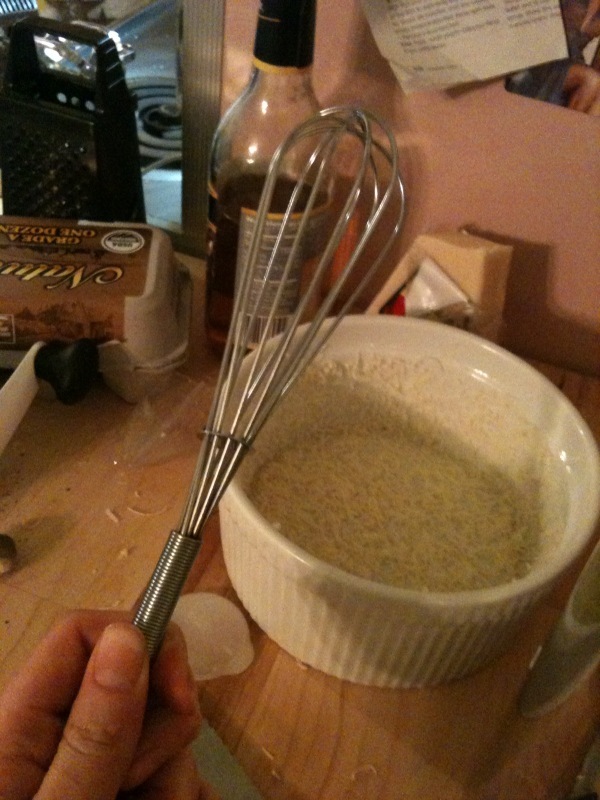 dish) AND whip out the tiny whisk. Now typically, I don’t usually screw up and freak out over a recipe until the end. But maybe my fear of the souffl?? somehow was conducted through my tiny whisk during Step 2. 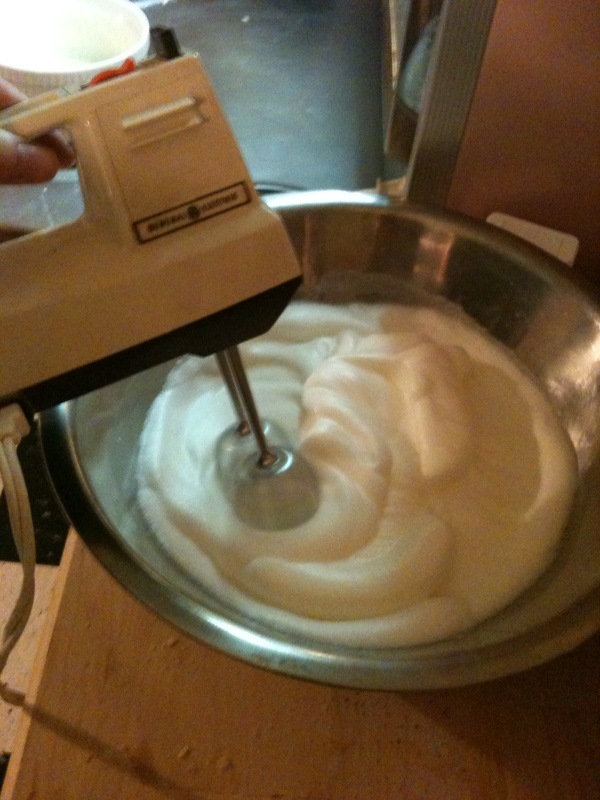 Essentially – whisking heavy cream into a roux. Now, I really doubt that this step where I am thickening the base is supposed to look like this. 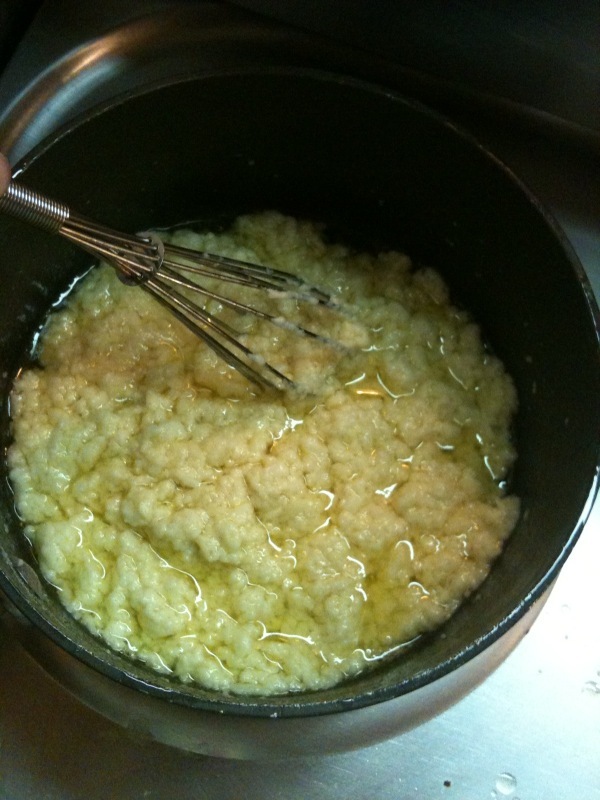 Yeah, really looked more like the curd stage of making mozzarella cheese. For the life of me I couldn’t figure out why my butter was separating again. Looking back it could be because I used heavy whipping cream instead of heavy cream. But who knows. Instead of ditching it I pushed forward. For all the kitchen gadgets I purchase I love the fact that I still have this mixer my parents owned. Super 70′s but does the trick. This is the stage where Cream of Tartar starts doing it’s magic. Had a long discussion about where Cream of Tartar originates (yet another fantastic byproduct from the fermentation of grapes). After I got over my fear of the freaky curd looking mixture, made some wonderful firm peaks of egg whites and did a lot of mixture folding it was into the oven with a prayer. 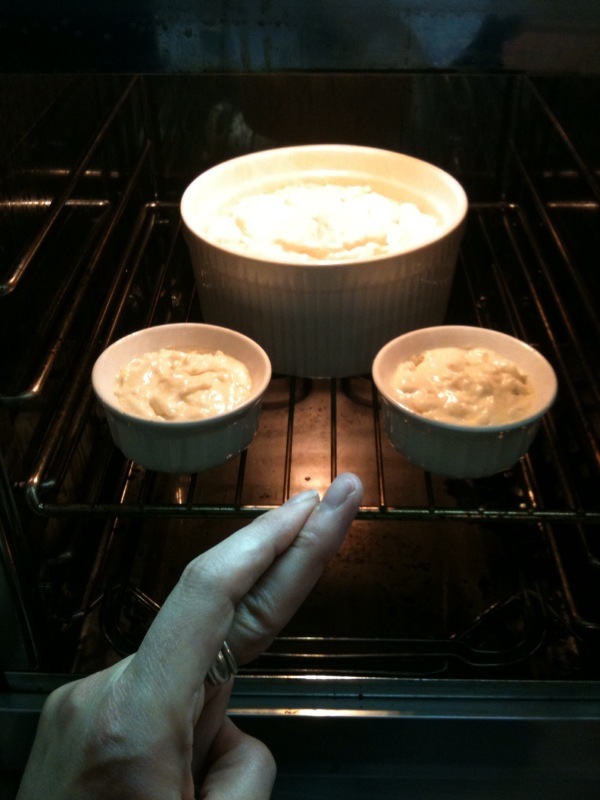 And maybe it is an old wives’ tale – but for the next 35 minutes I tiptoed around the house thinking loud noises would make the souffl? ?s fall. VOILA! It emerges as a golden delicious mound of goodness! And I have to say – IT IS FOODGASMIC! Maybe it was the gruyere – because that is one heck of a good melted cheese. Or, the combination of cajun pepper and dijon mustard that gave just the right amount of bite. 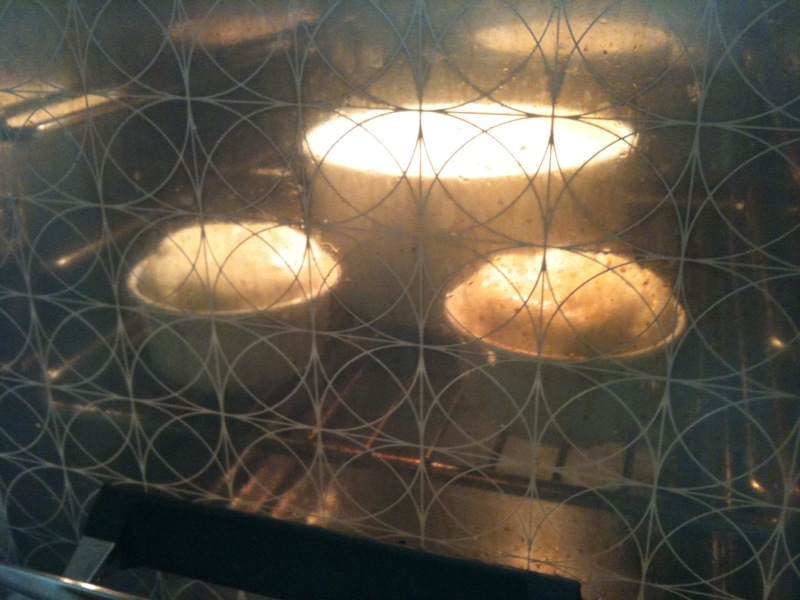 Either way – don’t fear the souffl?? – embrace its light fluffy deliciousness that makes eating something rich completely acceptable. Next up for my souffl?? sojourn? Attempting to recreate Red Feather’s fantastic Oatmeal Souffl? ?